I was emailed recently by a Sportive Cyclist reader (the other one that’s not my mum), who rightly noted that I wear glasses. Alan (for that ‘twas… ‘twis his name) then went on to supply some very helpful tips around cycling with varifocal lenses. I’ll share these later on in this post. 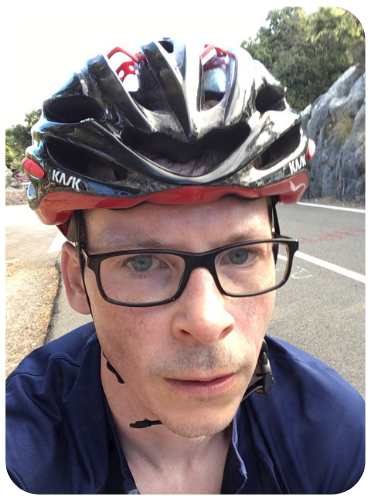 First though, since my glasses involve bog standard (albeit unusually prescriptioned) lenses, I thought I’d write more generally about cycling whilst wearing bins. It’s at this point, I can offer the non-spectacle wearers amongst you to stand down. There’s nothing here to see (although if there was, presumably you’d see it very clearly indeed). To be honest I don’t have much to say that’s profound in this area (as is the case in every area). I wear glasses pretty much all the time. Generally I don’t find them a problem when out on the bike. The only times I’ve struggled with glasses have been when it is raining so heavily that water droplets fill the lenses on one side. Meanwhile, on the other side, the lens fogs up to the extent that it renders me functionally blind. Luckily my vision is not so bad. I can ride without any eyesight correction if I have to. I just have to scrunch my eyes up a little to manhandle my own eyeball lenses into usable form. It’s hardly ideal though, not least because I don’t carry a spare glasses case around in my jersey pocket. I don’t fancy dropping and/or crushing my only set of specs (more fool me for only having one). The other scenario that can cause me issues is riding in very bright sunlight where the surroundings give off glare. Think height of Mallorcan summer, riding up a pale rock-lined mountain road*. The obvious mitigant (the one I practise) is generally not to ride in sunny bright conditions. Quite easy in England. When I do know I’ll be riding in such conditions, say on a summer training camp, er family holiday, I do have a pair of prescription sunglasses (even if their budget nature give them a Stevie-Wonder-circa–1980s vibe rather than the Morpheus-from-the-Matrix look I would otherwise aspire to). Should I Wear Contact Lenses Whilst Road Cycling? Well I haven’t felt an overwhelming need to. Every few years I decide that now, finally, will be the time that I finally get into the habit of wearing contacts. I go to the opticians, get my eyes tested, get retold how to put the contacts into my eyes and order another few boxes. I thus have a drawer full of boxes of contact lenses with gradually worsening prescriptions. 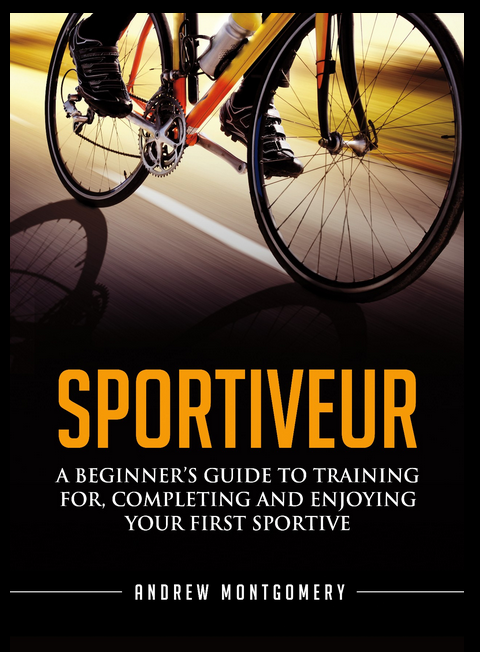 When I was practising the somewhat antisocial habit of participating in triathlons (by that I mean I did two of them) – I needed to use contacts such that I could wear goggles on the bike before transitioning (yes!) over to the bike. I’d be interested to see what other readers think here. Is there a strong argument for wearing contacts over your standard prescription glasses (clearly I don’t mean that literally) when road cycling? “I noticed that you wear specs and as your pic is taken on your bike I assume that you need them for cycling. I wear varifocals and need them all the time. They work reasonably well for cycling unless I am on the drops, when my vision needs to be over the top of the lenses, otherwise my neck aches from keeping my head up in an unnatural position. I have spoken to my optician about a special bridge adaptor but nothing is available. “Needing varifocals restricts me in the use of any form of sports specs. I know you can get some models with custom made lenses. Most are too expensive, and would need to be made to overcome the correct line of vision. There would be an additional cost if my prescription changed. I did have a dally with Optilabs and their inserts. They were very helpful but could not resolve the line of vision problem so my money was refunded. I have another solution which really does work and allows me to wear my everyday specs (frameless). Vistana are a manufacturer that make overglasses with a difference to any other design. The lenses wrap to the sides more in one piece and fit very well and look good too but I wish they would produce a style closer to sports styles. They come with different shades of lens. As I say, not as cool as true sports specs but do the job well, and if combined with a sliver of Blu Tack, they are perfect. And thus, like a thief in the night, Alan leaves with a flourish, but not without assuring us that he has no connection with any of the companies mentioned. Whilst I believe him on the Optilabs and Vistana fronts, I wonder if he is a secret Blu Tack magnate. So What Do We Reckon, Spectacle-Wearing Brethren? Has anyone had any particular challenges combining the wearing of glasses with the riding of bicycles? Does anyone have any tips, whether for general glasses wearing or niche specta-cyclists? Varifocalists, contact lenseurs, etc. Do You Always Wear A Helmet When Cycling (And Should You)? In 2008 I got a wasp or bee caught between my prescription glasses and my eye whilst riding. Thankfully, uphill. Just before I whipped off my glasses, I hit a parked van and smashed said glasses. And my face. No lasting injuries, but I bought a pair of cycling glasses with interchangeable tinted lenses, and an inner layer with my prescription ground into it. Made by Rudy Project, but the coating wore off the tinted lenses and RP doesn’t make them any more. Since ~ 2012 I’ve been riding with contacts. I wear them only for cycling, and have used 3 pairs in 5 years. Pretty cheap, but I’d rather not wear them at all, and have been thinking of having the lens implant that gives you better than 20/20 vision. The problem with the contacts is they dry out and feel uncomfortable after a few hours on the bike. And I can’t really wear them without glasses to shield my eyes from the wind. But I like them better than wearing specs. I wear rimless glasses during the day, and a cheap (30 pounds), plastic frame frame with straight legs when I’m on my bicycle (and the straight legs work a treat for the motorcycle helmet too). I bought an aero type helmet (Bell Star Pro) with a detachable shield. You can get a tinted or clear shield (Zeiss, no less), or you can ride without a shield. So all bases covered, expect some people frown upon using such a combo for regular ride… If you buy during a Sale, this combination is no more expensive than a regular helmet. I’ve had some Oakley sunglasses fitted with my own complex prescription (inc. astigmatism plus varifocals) and with photochromic lenses and they work really well. Hi did you get the Oakley sunglasses sorted at your local optician. I found the costings – Aug 2015 £32.50 for “+1.0” sports sunglasses set (£33.50 current price in link above), then, “+1.0” Stick-On Magnifying Lenses Hydrotac from Amazon £17.50. So that’s £50 for prescription bi-focal cycling enabling me to cycle further out and use my Garmin Edge 800 to get me home. I have progressive (varifocal) lens glasses and I need to wear them most of the time. Every year I get closer to needing them all the time. But I have fought wearing them while road bike riding for two reasons: 1) I can’t imagine not having tinted lenses for rides on sunny days and 2) I do not like the air flow around standard frame glasses into my eyes while riding in cold weather. So I am struggling with a solution as I see the day coming when I will have to wear my prescription glasses on the bike. Prescription lenses for sport glasses are available but very expensive – I may have to go that route someday. I really don’t have a solid point with this post; mostly want to commiserate with people dealing with this complication to safe bicycle riding. I wear varifocals full-time and rode with them for years but got fed up with dust/flies/crud getting in over the top of the specs when I was down on the bars. My optician sorted out some excellent bifocals (as opposed to varifocals) with three wrap around clip on outer lenses which are in three levels of tint for sun/fog/dusk etc. They work really well, look pretty cool and were about £225 – much cheaper than any varifocal solution. In truth, I couldn’t find many companies which could provide a full varifocal solution. After a lot of thought I splashed out and got some prescription Oakley’s via my optician. They were expensive (about £350) but worth it. Not only can I see properly (when I rode without I was always worried I wouldn’t see a pothole etc), they protect my eyes from chips that fly up from the road and insects that sometimes commit suicide against my face! A lot of the price is because they’re Oakley’s, but there are cheaper sports brands that can be bought with prescription lenses. I was born wearing glasses and since I am now 73 have had some experience with them. That experience has shown me that it is best and most economical to wear my regular prescription glasses, or my most recent older pair if not too far off from my most recent prescription, with flip up sunglasses. A good pair of flip up glasses don’t have to be expensive, I found a good pair on Amazon for under $10 delivered, with a strong metal hinge and padded clips that don’t scratch your lenses. They beat using prescription sun glasses because you don’t have to change glasses depending on lighting conditions–just flip them up or down. And the pair I use will say in place, even in a horizontal position, going down hill at speeds up to 35 mph (yes, I am an American). Granted, they don’t wrap around like “real” bike sunglasses but they work and boy does this setup save real money. I started wearing glasses at 5. As I prefer glasses over lenses, I tried to get prescription Oakleys, but because of the high curve of my eyeballs, this was impossible (the glass would be 1.2 cm at the side and too fragile in the middle). I tried correction glasses on the inside of sunglasses for cycling, but I had a fish-bowl effect due to the distance and angle between the correction glasses and the sunglasses (no good). I finally found a solution in Adidas (I don’t have shares, if you were wondering ..) – the Evil Eye model can be made with a glas where the outside is not corrected, and the correction glass is “melted” inside that (which means that my correction glass is smaller and not too curved – so strong enough in the middle and not too thick at the sides). My eyes are protected against the wind when cycling, but of course the outside of the glass is not corrected to my view. It’s not perfect (when it’s cold, when stopping at lights, they get fogged, but I keep them a bit further from my face to get some air in and they’re fine again), but it works super well for me most of the time. I bought the sunglasses 7 years ago, and they’re still perfect. 3 years ago, I bought a second pair with a normal glass to melt inside (no sunprotection, but a clear glass) for cycling during winter (so my eyes are protected against the cold wind). They’re not much more expensive than my regular glasses, I’m happy to pay the little extra for getting eye protection every time I ride my bicycle (4-6 times/week). I found that they protect my eyes better than regular glasses/regular sunglasses when riding my bike, both against the sun, as against the cold wind. I wear varifocal glasses usually, and on a short local bike ride they are fine. Anything longer or faster they are not fine, as my eyes stream and there is always a risk of road crud (winter) or insects (summer) getting behind them. I also don’t like all that road mud getting splashed all over and scratching my expensive lenses. My solution involves contact lenses – the varifocal ones are really good, and allow you to read the map/Garmin close up as well as see the road ahead. That then allows me to wear wraparound cycling specific glasses. Inexpensive ones from Decathlon come with interchangeable tinted/clear lenses. So I can see and protect my eyes from all that road stuff and have the right eye wear for day or night riding. And I can look like a cool cyclist, at least in the eye department. I fully appreciate people not liking contact lenses, but these varifocal ones are terrific, and have transformed my ability to cycle as well as to read things, and to snowboard and read piste maps, menus etc too. I wear varifocals for daily use, but contacts for sports. My contacts are single focus, one lens for distance, teh other for closer / middle distance. As such I find it difficult to read at arms length. At this stage I use a Garmin watch to record my activities, and will be looking at a Wahoo next year. I find ordinary spectacles fall off my face with motion and sweat. I’m also an archer, and the angle I’m looking through the lens at means I don’t get a clear view of the target using glasses. So it’s contacts for me for any activity. Contact lens convert here. I’ve been wearing daily disposable lenses on cycling days for a couple of years and have recently switched to “All Day, All Night” lenses from Specsavers. Cost is £15 per month, free test, checkup and backup glasses to the value of £45. Best thing I ever did. Contacts are far superior to glasses on the bike allowing vision in the rain and the option of cycling glasses. Especially good on wet and/or cold days with the ability to temporarily remove the cycling glasses when they get too wet or fog up. As the correction is being done on the eye I also find raindrops on cycling glasses have much less of an effect on my vision than on prescription glasses. The other advantage of the lenses is not having to worry about poor vision when down low and looking over the top of the frames. As someone else also mentioned cycling glasses prevent wind getting at the sides of your eyes causing watery eyes. I wear no-line bifocal prescription glasses. I picked up a pair of inexpensive sunglasses from Sam’s Club, made to wear over glasses. That set-up is working fairly well for me, but I’m always looking to improve. I haven’t done contacts, because I want something protecting my eyes; but, when I ride at night it isn’t practical to use sunglasses. Will be checking into some of the previous suggestions. Thanks! Most cycling glasses come with the option of three lenses dark, orange/yellow and clear. I particularly like the orange/yellow ones for increased clarity on a dull day but the clear ones are perfect for night riding and I use them a lot in the winter when MTBing at night. I’ve worn prescription glasses for over 20 years. No line bifocals. I see ok fair at distances but poorly up close. I’ve been using stick on magnifiers with great success for a couple of years now. Allows me to see my phone and bike computer and also allows me to take advantage of good deals on cycling glasses. Having struggled for some years with what some misguided individuals (my beloved offspring) like to refer to as ‘Old Duffers Eyes’, I relented and bought some off the shelf +1.5 reading glasses. Hey Presto I could read texts on the phone and even see the Garmin data without squinting. Hah…sorted. But No! the +1.5’s from PoundStore (Not a shareholder or even a member) didn’t look too cool and caused a real mixup when combined under super speedy cycle shades or even the ski helmet and Gogg’s when cycling on the Ice (Whole other story!) I go some varifocal/progressive from another ‘hughstreet’ specialist but same problem and many of the correspondents above. (No/little protection from bugs etc). Luckily my ‘affliction’ is limited to reading text/garmin/…(dashboards) etc, so I don’t need to go down the full prescription route…just yet. Widening our scope on this thread a little.. who is using BI-focals and what types? I have been very happy with my Dual Bifocal Sl2 Pro (now up to +2.0’s, ah how time blesses us!) and I know other makes must be available but I fear the Dual SI2’s are being discontinued so fear I may be back to PoundLand soon….. I am short-sighted and have worn glasses for over 40 years. As my prescription has had to keep up with the changes that are normal with middle-age I’ve started wearing varifocals for everyday activities. 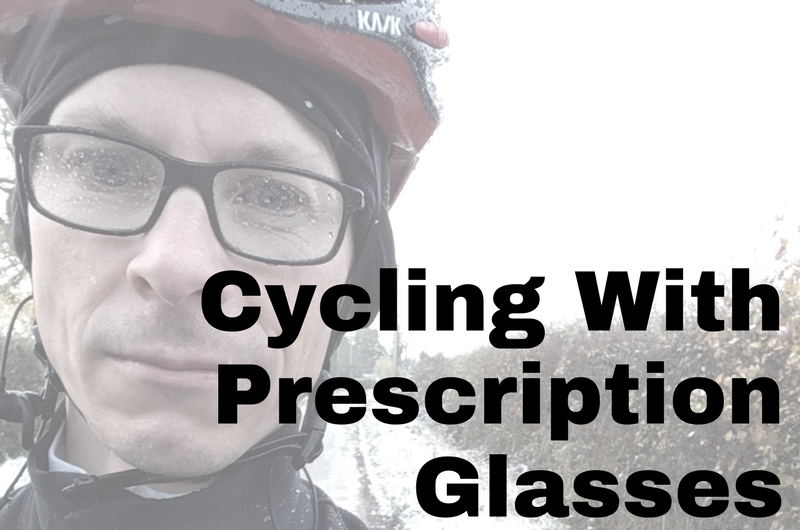 I’m a recent convert to road cycling having only started earlier this year and to begin with I used my normal prescription glasses – both clear and sunglasses. However on a ride in April I had a problem in one eye which caused it to close up. It took 3 days to clear up the problem and I still don’t know if it was dust, an insect or just a result of a chill wind that day. In an attempt to make sure I don’t have similar problems in the future I decided to go the Optilabs route (sorry about the pun) and got a pair of their Horizons with the lenses made up to my distance prescription. My reading lenses aren’t too strong so I can (just) cope with reading a map and I find the interchangeable “shields” work very well. The mirrored ones have coped with a heatwave in the Algarve and the lenses for less sunny days were still giving me a clear view on evening rides at the end of the season. I’ll admit they aren’t cheap but my plan is to keep the shields and replace the prescription lenses at least once so the cost over 5 years should be manageable – and I consider it a small price to pay for keeping my eyes in working order. I’ve considered using contacts and normal glasses but I’d still need interchangeable shields for different weather conditions and I’ve had difficulty putting contacts in and out so I felt that the Optilabs were a reasonable approach. PS – normal disclaimer applies; I’m not connected to Optilabs – just a satisfied user. I wear varifocals after giving contacts a try but never could get the vision right. Contacts in meant I was unable to see small things like allen keys and sockets, pumping up a tyre…. even when I remember to put the correct one in each eye. I now have a pais of Adidas Evil Eye prescription glasses with varifocals and love them. I prefer wearing plastic frames incase anythign goes wrong. I crashed last year (mountain bike) and had a specs shaped bruise on my face and a very scratched lens but all i did was replace the lens and the frames are fine. I dont think normal glasses would not have coped. For general riding I just wear my normal glasses (blind as a bat without them). However I do wear disposable contact lenses for races (Some CX but mainly TT races) since when on drops/aero bars I look ‘over top of my glasses’ to see up the road….which means I can’t see! I wear varifocals – can cycle with regular sunglasses- but then can’t read messages on my phone at the coffee stop. Is there a helmet that does not interfere at all with the frames of prescription glasses. I am having to have my glasses adjusted constantly because of the side straps hitting my temples. I can’t wear contacts (because of my astigmatism) and I don’t feel safe without a helmet, but I am thinking I would be better without one.